Treat your attendees to the environment that best suits the mood and purpose of your gathering. 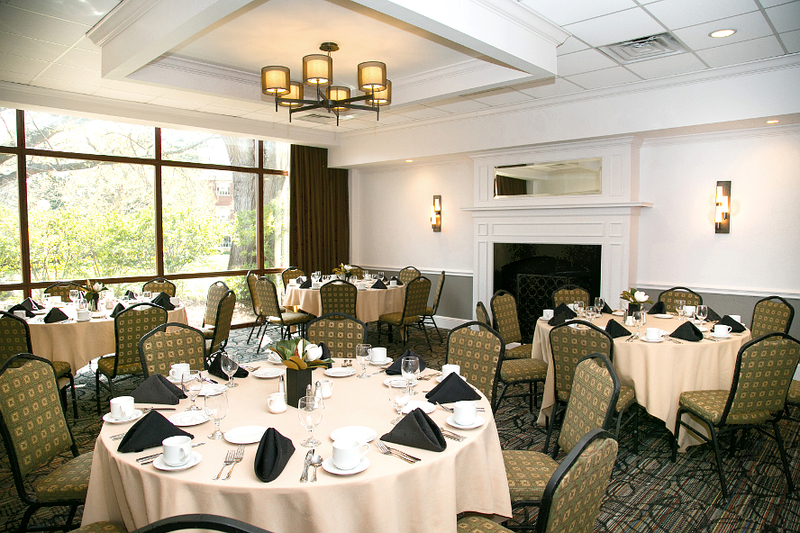 In addition to our stunning and flexible banquet space, our center’s impeccable design includes open spaces designed to accommodate receptions not to mention outdoor event space surrounded by vibrant gardens and lush green landscapes everywhere you turn, and of course, delectable dishes in the dining and reception areas. For Banquets, Receptions, Special Events & Much More! Welcome to our most spacious and sophisticated special event space: the spectacular and majestic Magnolia Ballroom. The Magnolia Ballroom is our largest special events and dining space where you can host as many as 400 of your closest loved ones for a lavish feast. 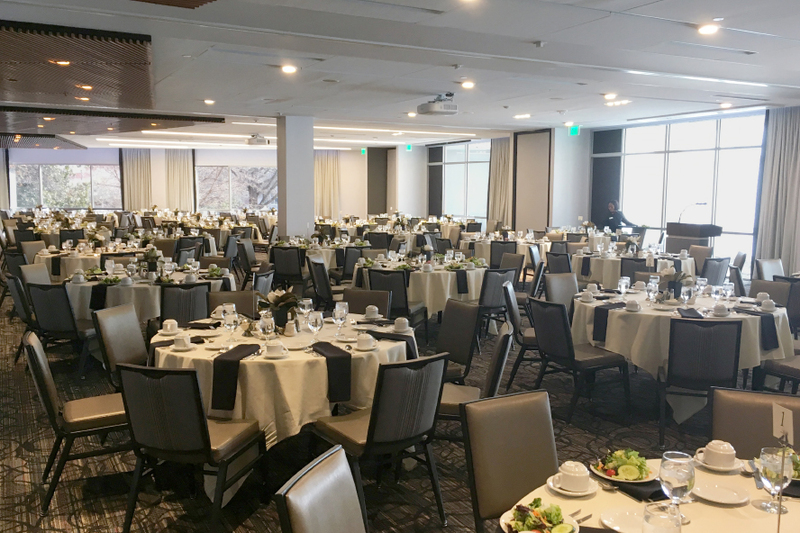 This awe-inspiring ballroom features comfortable chairs, retractable screens, wireless Internet, adjustable lighting, PA system, and LCD projectors, all promising to make your banquet one that your guests will always remember. 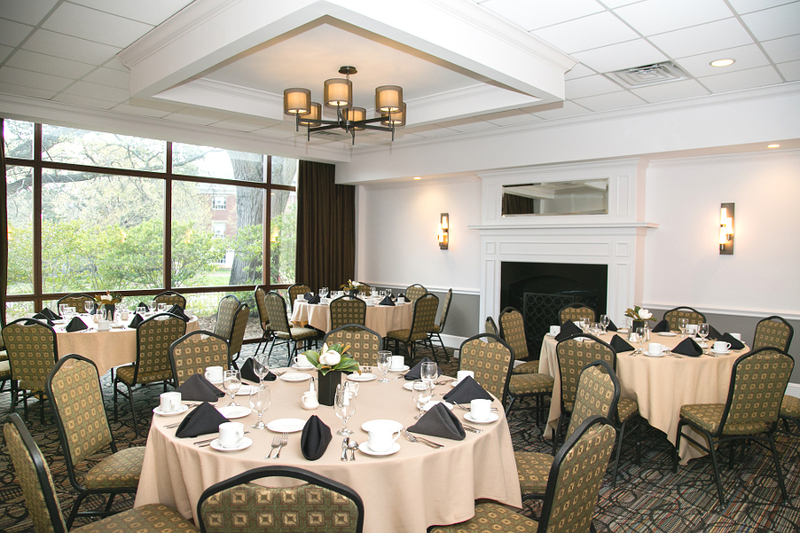 Do you need multiple banquet rooms? 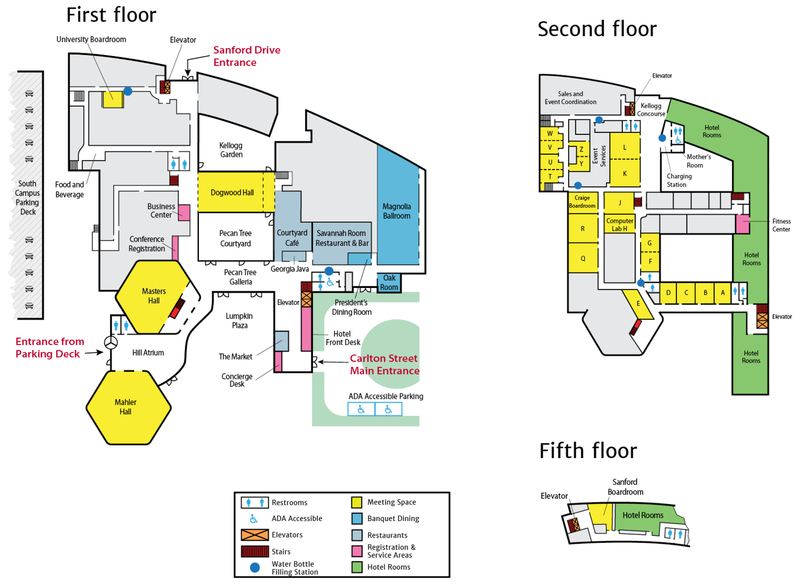 The Magnolia Ballroom can be divided into as many as five salons, giving you the flexibility to configure the space in any way you might need. Ideal for an intimate brunch, lunch, dinner and everything in between, the Oak Room offers a delicately warm feeling of sophistication and class. Depending on your desired room configuration, you can host a soiree for as many as 40 of your closest friends and family. 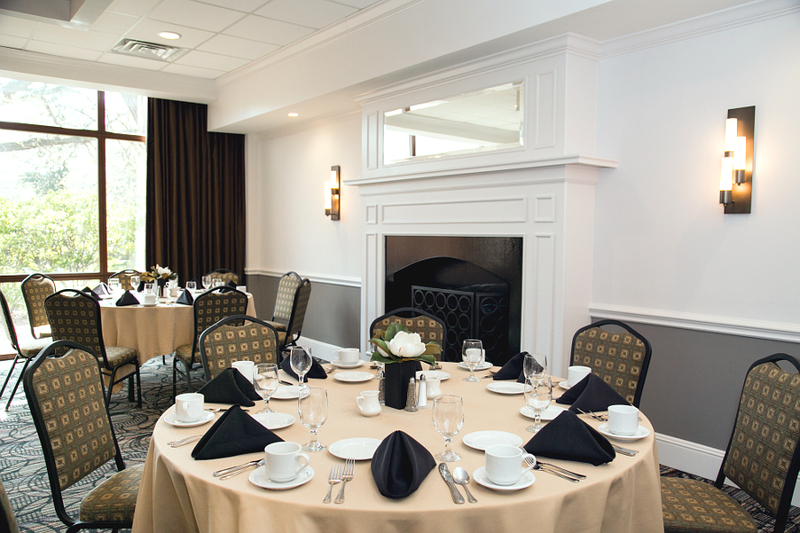 This beautiful ballroom features an inviting fireplace, beautiful wall sconces, and spectacular views of campus.